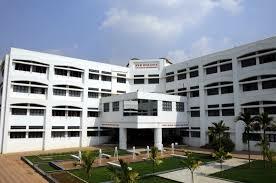 Vidya Vikas Institute of Engineering and Technology Mysore is one of the best engineering colleges in Mysore. 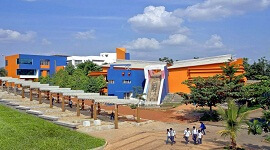 VVIET established in 1997 has sprawling student friendly campus with modern infrastructure and facilities. The institution ranks high in the top engineering colleges is spread over 65 acres campus with academic and administrative buildings surrounded by green ambience.The institution delivers best-quality education and training to mould the students into highly professional world-class engineers. VVIET offers BE courses in six streams and M.Tech programs. 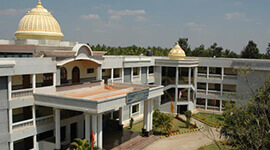 The faculty members encourage students for the overall development . 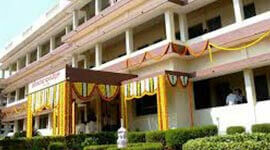 The institute provides good education to the students, builds highly qualified professionals. The institute provides all facilities for the students to become a professional and a good human being with ethical values. The Scholarship is provided for the brilliant and economically backward students. The institute provides placement facility and good placement opportunities. The training is given to the student on soft skills, behavioural skills, aptitude and technologies that are required to enter the industry they have the interest in and also to be able to handle any changes in an industry that require student’s interdisciplinary knowledge and ability to face any challenges in working environment. The placement cell trains the students with communicative abilities, leadership qualities, and employability skills. The placement cell makes the students clear the interview easily, and get placed in the right job. The placement cell provides an opportunity for each student to attend all the placement event in the region, it creates awareness and importance of placement preparation and training. 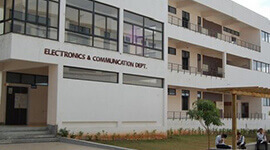 The students from this college implemented VTU project called “VTU webmail Application”, and this project was accepted by the VTU in September 2015. Ms.Arpitha M student of Sixth Semester Mechanical secured 3rd Rank in 12th National Industry Targeted Aptitude Test. Preetham P V a student from the Mechanical branch is a team member of Cricket team called Bijapur Bulls in 2015. They are the Champions for the year 2015. Vybhav M K participated in state level bodybuilding competition held at Mysore University and won 1st place. Mr.Pavan, an 8th-semester student is a winner of KTM National level Track event. Mr.ArunMaribashetti M. Tech student from Mechanical Department bagged GOLD MEDAL AND FIRST RANK in Production Technology. 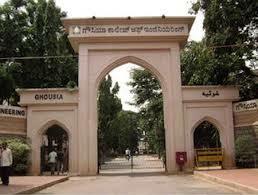 Students from this institute won many VTU ranks and medals. 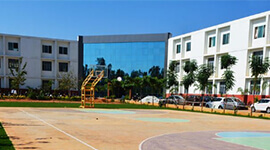 The academic blocks, learning and training block covers over 5,00,000Sqft of an amazing campus of over 65 acres. The institute has a huge central library & separate departmental libraries with electronic resources, National & International journals for the students. The college has the faculty members with outstanding educational records, strong experience in teaching, research and consultancy work, and brilliant profiles of patents, awards, and publications. 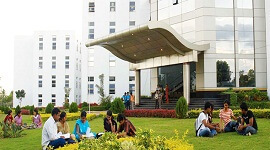 The campus is connected with the wide LAN connectivity with a 10 GBPS fibre-optic backbone and a network of over 800 computer systems With Unlimited internet, wi-fi browsing facility. The department has fully equipped Laboratory facilities for the delivery of quality education, offers R&D work and consultancy work. 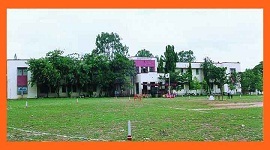 Huge space is provided for sports and games and a designer space for cultural activities. Sophisticated Research and Development workspace. 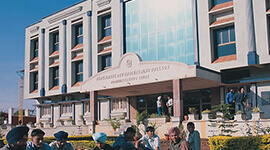 The faculty members encourage students for the overall development.